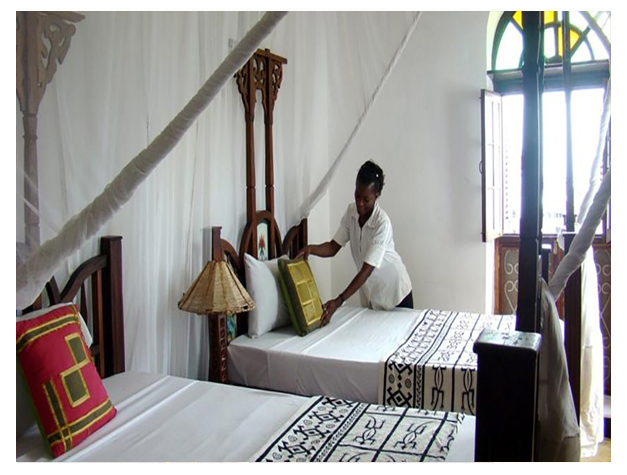 The Swahili House is located in the centre of Stone Town amongst the bustling market, shops and restaurants. The refurbished 5-storey Indian Merchant House is built around a courtyard. 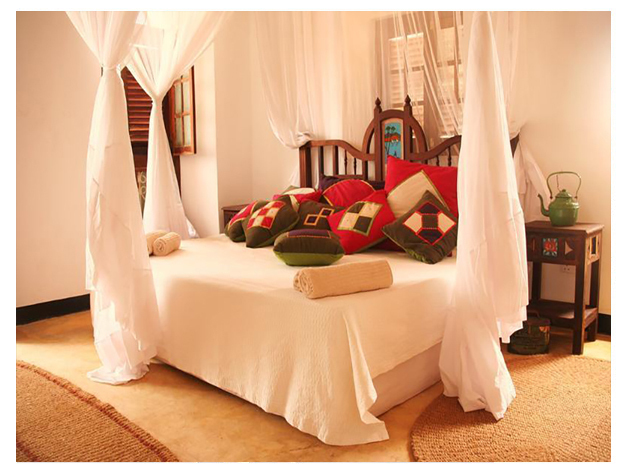 The rooms are decorated in traditional Swahili style. Each room comes equipped with a fan and the bed is draped with mosquito nets. The private bathroom has a bath or shower. The restaurant on the rooftop terrace at Swahili serves fresh seafood and Mediterranean Tapas. The bar offers a large variety of wines, international spirits and cocktails. A number of restaurants can be found within 1 km. Guests can relax in the hot tub on the rooftop terrace overlooking the Indian Ocean. Spice Tours, visits to the Jozani Forest and Tours of Stone Town can be arranged for guests on request. Free Wi-Fi is available in the public areas. The Zanzibar airport is a 15-minute drive away.